Hi everyone! Luna here, Creative Director at Altitude. Last August 10, 2015, Chester, Aileen, Shelly, and I attended a special talk sponsored by the Animation Council of the Philippines — The Making of Inside Out, Disney/Pixar’s latest animated film. We were extremely fortunate to get to listen to one of the film’s co-directors, Ronnie del Carmen. Read on for a short (spoiler-free!) summary of our favorite moments from the event. 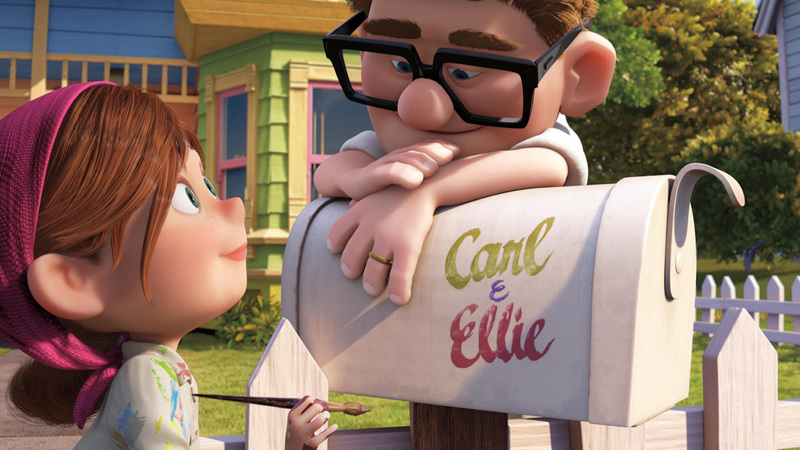 Both Ronnie and his co-director Pete Docter started with a childhood dream: to be an artist. While Pete joined Pixar early on, right when the company shifted from making hardware to telling stories (starting with Toy Story), Ronnie was hired during the production of Finding Nemo. Ronnie recounted how he helped create the famous opening montage of their film Up, using his background in advertising to make a succinct yet emotional sequence. If you remember this, then you’ve had some major feels. Pixar films are very personal, he said, with everyone placing a piece of themselves into their work. That’s how Inside Out started: from personal experience. Ronnie and Pete, both fathers, looked at their growing-up-too-quickly daughters and wondered what was going on inside their heads. That idea formed into the film’s premise: that our emotions are cute, colorful, and sometimes difficult characters that reside in our heads. An important part of any Pixar film pre-production is research. For Up, the crew went to the Paradise Falls in Venezuela, where Ronnie sketched the plateaus and skies you would recognize in the film. But for Inside Out, they had nothing to ground them in reality. They didn’t know what emotions or memories in the mind looked like. They had to build the world from scratch. 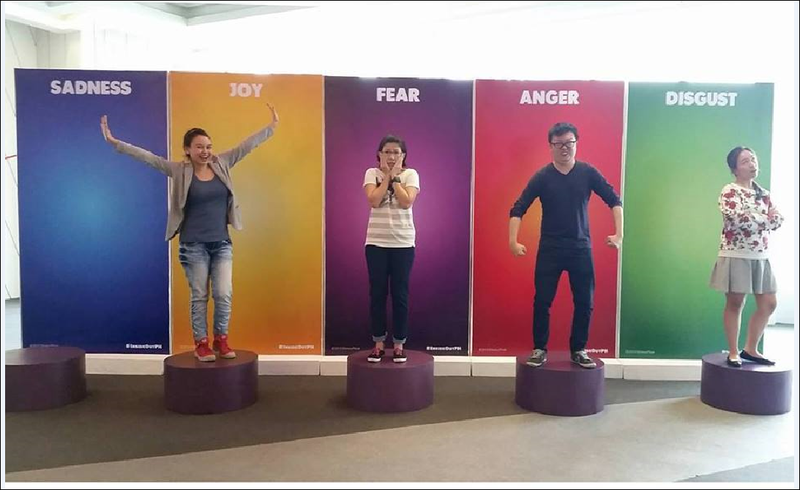 They turned to psychology, doing extensive research with leaders in the field about emotion. From there, they chose five main emotions (joy, sadness, anger, fear, and disgust) and turned them into shapes, colors, and finally the five characters of the film. Their research turned up another main emotion: surprise. But as a character, Surprise would be quite predictable, with not much room for storytelling. Ronnie spoke at length about the production process at Pixar. 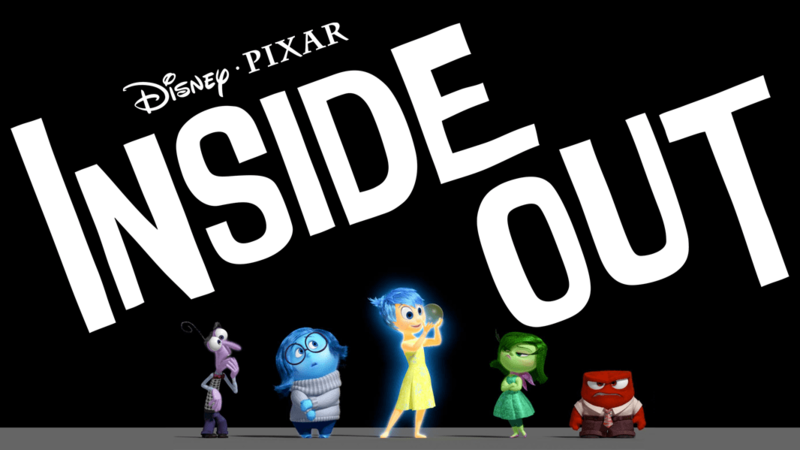 The first three years of Inside Out were spent with zero 3D production work. Instead, they focused on getting the story and flow just right – first as a pitch, then as scenes arranged and rearranged on index cards, then as thumbnail sketches combined as a watchable reel. Every few months, they would show this reel to the rest of the company. Anyone could give them feedback. They’d sift through the feedback, find the problem areas, revise, and then present again. They did the same with their art, creating different versions of the characters until they found just the right ones. This part of production felt very similar to Altitude’s rapid prototyping. It was great to see that the method of iterating quickly based on real feedback (metrics, in our case) could be applied across disciplines. One of the slides Ronnie projected onto SM Aura’s IMAX screen had just one sentence: “Prepare to be wrong.” At Pixar, you have to be humble and take criticism, even if it stings. Later on, someone from the audience asked him to elaborate. There were two ways to deal with feedback, he said. One is to “follow your bliss” and go left, the way you’d originally intended to go. Or you could follow what everyone else says and turn right. Either way could be right or wrong. The worst thing you could do, he said, was to ignore the comments altogether. Most of the attendees were students and animators, with plenty of questions for Ronnie. One interesting question raised was why they didn’t include depression as a subject in the film. Ronnie answered that depression was the absence of emotion, and also an overwhelming illness that the main character Riley would be powerless to fight. Both situations would have very limited storytelling options. Another person asked how he stayed motivated when working on the same project for five years. It gets difficult, he said. But everyone in the team helps each other out when the going gets tough. At the end of the day, all of them are excited by the fact that their name will be in the credits of a Pixar film. The talk ended with thunderous applause and everyone (including us four alpacas) walking away inspired. 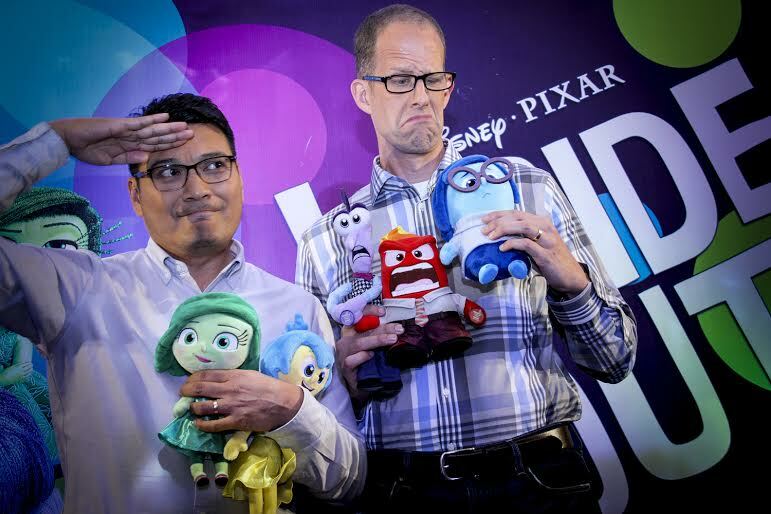 Inside Out is in Philippine cinemas this week; we can’t wait to watch it! Congratulations, Ronnie, and thank you so much for the opportunity to attend your talk!